A total unexpected turn of events…. I started the day just going to support some friends and it turned into a full fledge photo shoot and a opportunity to meet one of my most favorite photographers. I wasn’t familiar with Yone’s work until recently. He was all ways someone i heard about but never got a chance to fully investigate. Needless to say I found it and LOVED his photography!! Today at Harajuku kawaii he was promoting a new camera by fuji. The Instax mini 8. Really cool little cameras. WANT!!! 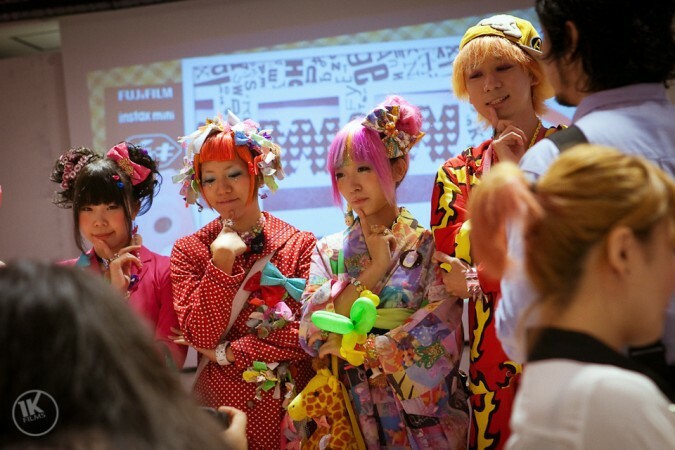 I also got a chance to hear a lot about the history of harajuku as well as the Mighty harajuku project. Even though i have been here for a few years now I realize i have so much more to learn. Anyway I tottally geeked out a little when i finally met him. So ashamed…. But i got to see him shoot. He was so fast!! His second shooter was blazing fast too. Its amazing how much you can do with a good efficient team.